The March to November 2016! 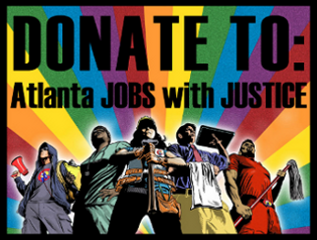 In our run up to the Nov 8, 2016 General Election, Atlanta JwJ has been busy getting workers registered and ready to vote in this crucial upcoming election. Check out all our updates from Fall 2016 below! Atlanta JwJ joined the newly formed ATL Pride at Work chapter with CWA 3204 and Unite Here 23 to march in the 2016 Pride Parade. We had a blast and got the word out that we all need to #VoteWithJustice in the upcoming Nov election! 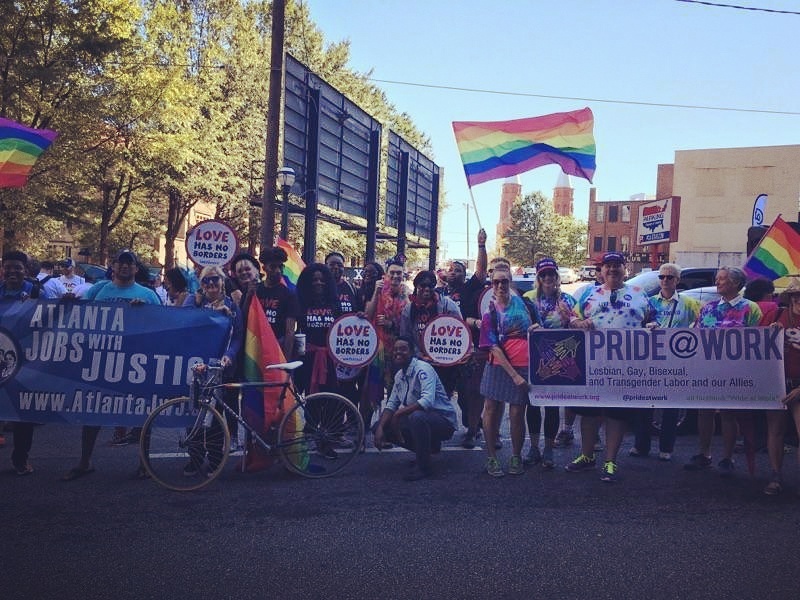 "Queer workers united will never be defeated!" 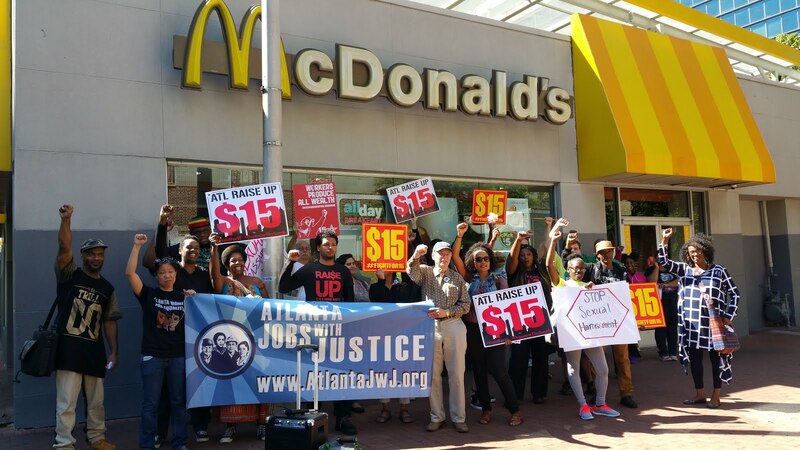 On October 6th Atlanta JwJ join ATL Raise Up to speak out against sexual harassment on at work which is particularly rampant in the fast food industry. 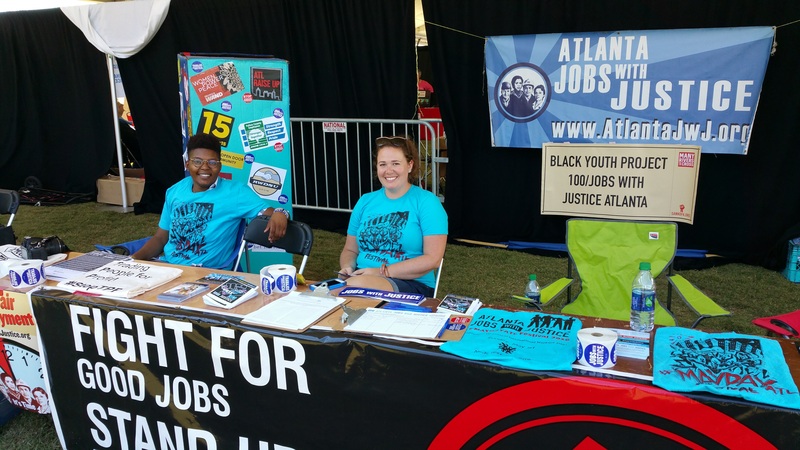 Later on Oct 14 & 15 we and ATL Raise Up came together for the #VoteWithJustice worker blitz in Atlanta, reaching out to workers across the city to turn up for the #FightFor15 by voting in the upcoming General Election on Nov 8th, 2016! We had a great time at the Many Rivers To Cross Festival which took part on Oct 1 & 2 outside the City of Atlanta. This was an amazing festival featuring musicians, artists, and community leaders supporting efforts to win justice for our communities in Georgia and across the nation. 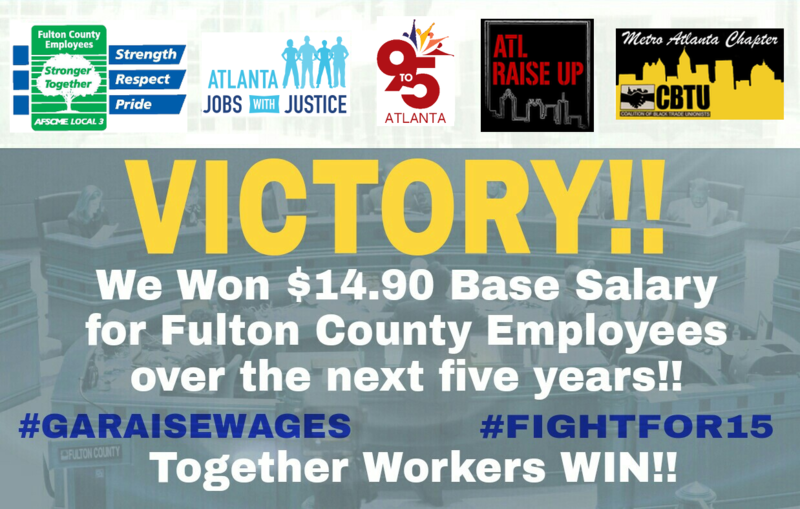 On September 21st, the Fulton County Commission approved, 5-2, increasing the base salary for County employees to $31,000 or $14.90/hr over the next five years. Hope everyone had a great labor day this year! 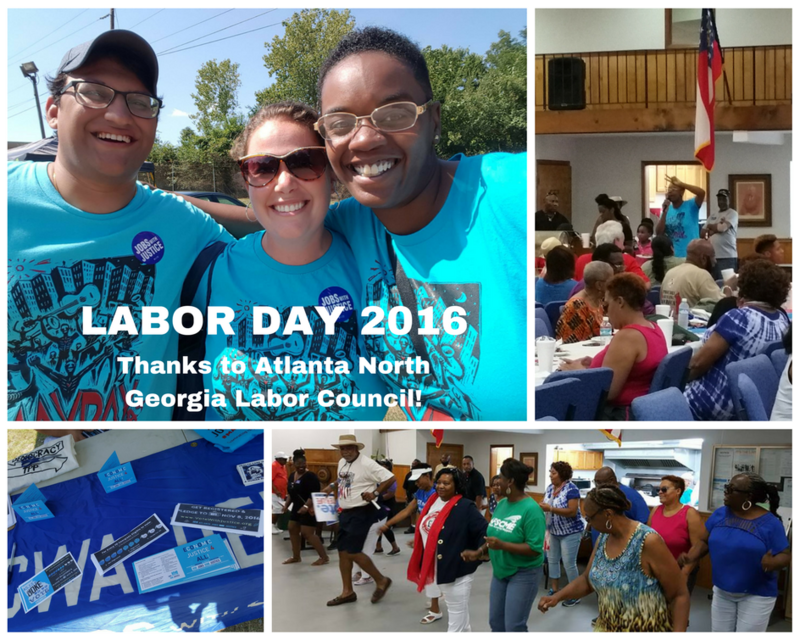 We would like to thank our partners at the Atlanta North Georgia Labor Council for hosting us at their Annual Labor Day Celebration Picnic. 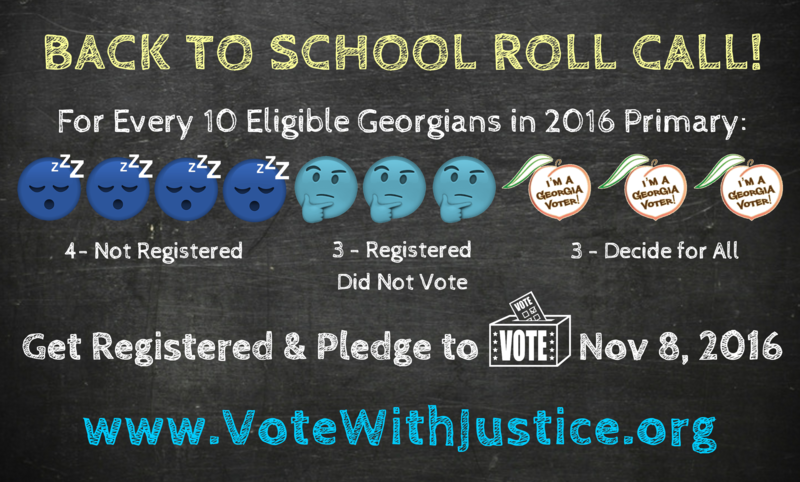 The last week of August, we conducted our Back to School Roll Call Blitz & Voter Registration Drive where we sent people out to 216 worksites & had 1033 conversations and got 305 people pledged to vote about getting organized and prepared to vote in the upcoming 2016 Election. 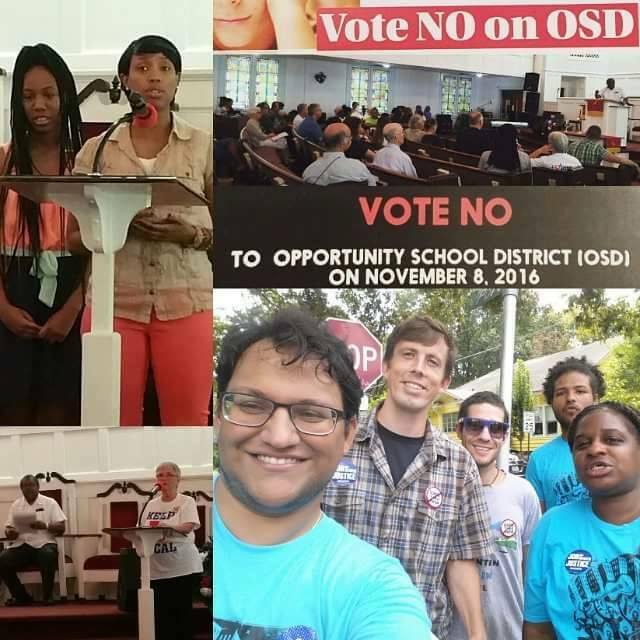 -Atlanta JwJ rallied and canvassed with ATL for ALL to encourage our community to vote No on OSD/GA Ballot Proposal 1 that will allow the state to takeover schools! #VoteNoOSD. 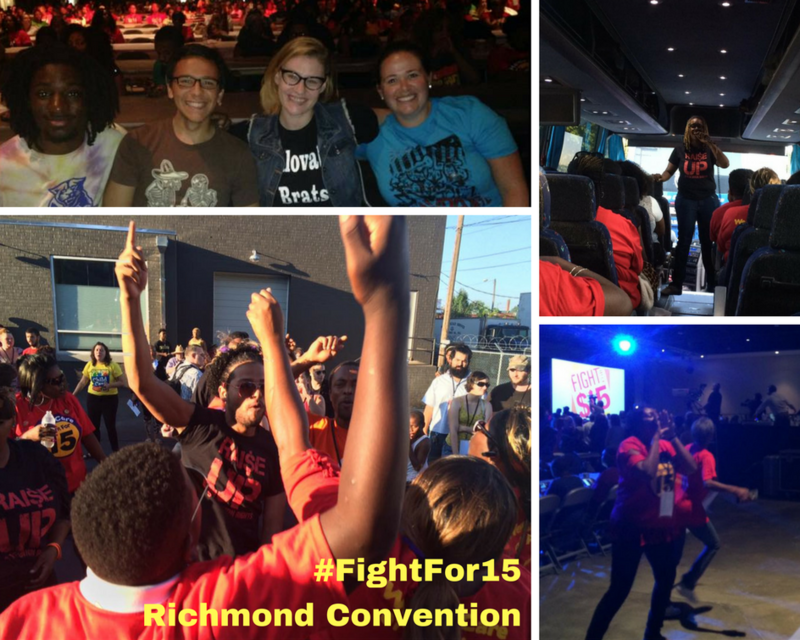 Atlanta JwJ went on the road with ATL Raise Up for the national #FightFor15 Convention in Richmond, VA.